The sixth and seventh songs of Hamilton – An American Musical are “Farmer Refuted,” and “You’ll Be Back,” the latter in which King George III makes his first appearance in the musical. In “Farmer Refuted,” Alexander Hamilton publicly clashes with a loyalist who is speaking out against the rebellion. The loyalist introduces himself in the first line of the song – “Hear ye, hear ye! My name is Samuel Seabury.” Seabury was a real person; he was an Episcopal rector. 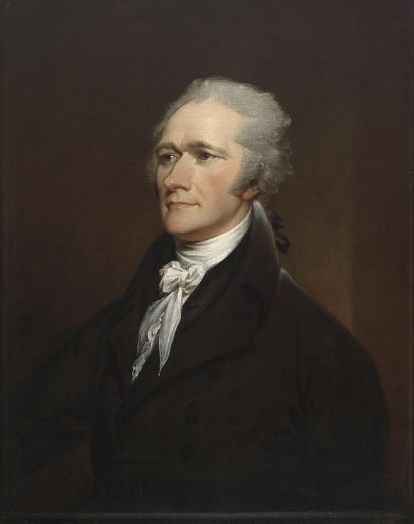 Immediately after he introduces himself, he explains his purpose for being there is to “present Free Thoughts on the Proceedings of the Continental Congress.” Those first letters are capitalized because while Seabury and Hamilton didn’t lyrically battle in a public square, they did battle on paper. Seabury’s “Free Thoughts on the Proceedings of the Continental Congress” was actually a pamphlet published anonymously in 1774, placing the musical events off the historical timeline. Following that “discussion,” Seabury attempts to recompose himself and continue his speech, but Hamilton literally gets in his face to interrupt each line. Again, this fits the historical reality. Seabury published “A View of the Controversy Between Great-Britain and her Colonies.” Not to be outdone, Hamilton replied again, this time with “The Farmer Refuted.” These two guys really liked to write. Burr interrupts the discussion, “Alexander, please!” to which Hamilton replies, “Burr, I’d rather be divisive than indecisive.” And he was divisive and decisive. Hamilton continued writing throughout 1775 and into 1776. He wrote “Remarks on the Quebec-Bill” which was published in two parts in Rivington’s New York Gazetteer, the first on June 15, 1775 and the second on the 22nd. Then, between November 9, 1775 and February 8, 1776, Hamilton published fourteen pieces titled “The Monitor” in the New-York Journal. Can someone figure out how much money he spent on ink and parchment? “Farmer Refuted” (the song) ends with the Company singing “A message from the King!” and as King George III appears on stage, “You’ll Be Back” begins. After the war, Seabury moved to Connecticut and became the first Anglican bishop ordained on American soil, in 1785. The full title: Free thoughts on the proceedings of the Continental Congress, held at Philadelphia, Sept. 5, 1774 : wherein their errors are exhibited, their reasonings confuted, and the fatal tendency of their non-importation, non-exportation, and non-consumption measures, are laid open to the plainest understandings; and the only means pointed out for preserving and securing our present happy constitution : in a letter to the farmers, and other inhabitants of North America in general, and to those of the province of New-York in particular by A Farmer. Actually, the full title is A Full Vindication of the Measures of the Congress, from the Calumnies of Their Enemies, in Answer to a Letter, Under the Signature of A.W. Farmer: Whereby His Sophistry is Exposed, His Cavils Confuted, His Artifices Detected, and His Wit Ridiculed ; in a General Address to the Inhabitants of America, and a Particular Address to the Farmers of the Province of New York. The full title is The Congress Convassed or, An Examination into the Conduct of the Delegates, at their Grand Convention, Held in Philadelphia. That’s it; that’s the full title. Really. That didn’t last for long. The full title is A View of the Controversy Between Great-Britain and Her Colonies: Including a Mode of Determining Their Present Disputes, Finally and Effectually; and of Preventing All Future Contentions. In a Letter to the Author of A Full Vindication of the Measures of the Congress, from the Columnies of Their Enemies. By A. W. Farmer, Author of Free Thoughts &c.
 Also not wanting to be outdone on the length of his title, it’s full title is The Farmer Refuted: or A more impartial and comprehensive View of the Dispute between Great-Britain and the Colonies, Intended as a Further Vindication of the Congress: In Answer to a Letter From A. W. Farmer, Intitled A View of the Controversy Between Great-Britain and her Colonies: Including a Mode of determining the present Disputes Finally and Effectually, &c.
 Subscribers to geneologybank.com can view those pieces by signing in at this link. I know I’m slow to the party. But brava. This is fantastic and I love the historical information you’re giving!